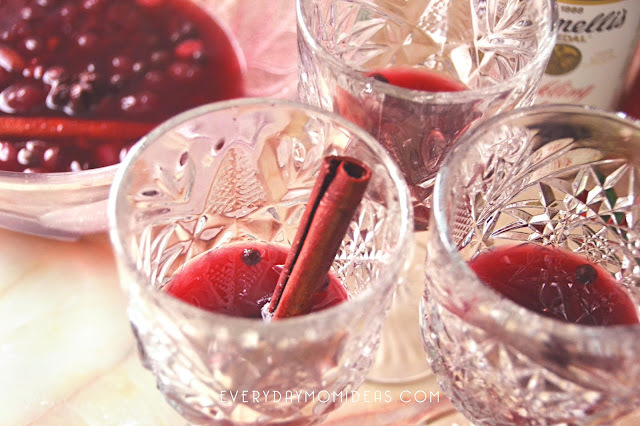 This three ingredients Virgin Sangrias is like Christmas in a cup! 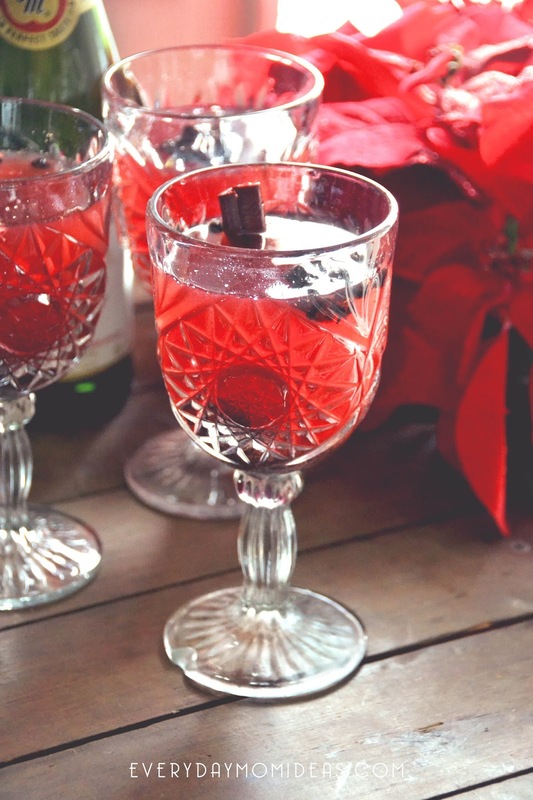 Simplified down into just Three ingredients you can now add this festive drink to any gathering. 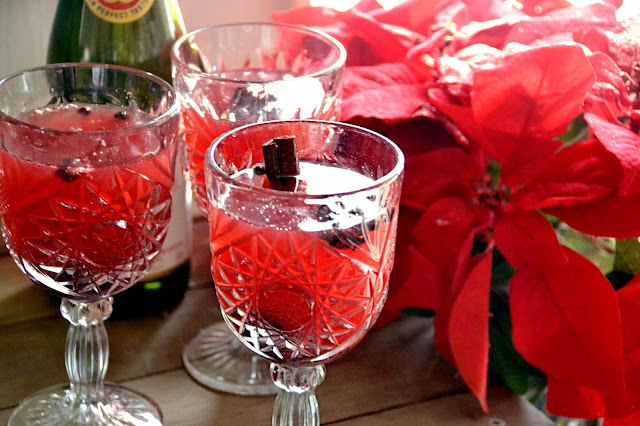 This is a fruity drink infused with Christmas spices that the whole family will love. This is a make ahead recipe. You will want to make this at least five hours before serving so that it is chilled. But it actually doesn't take much time to make. 1. 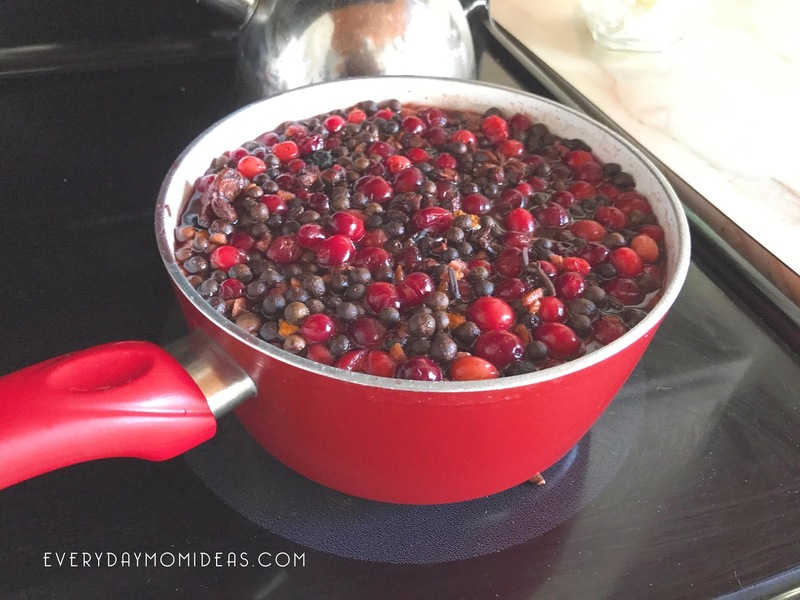 Pour all of the Cranberry Black Cherry Juice into pot. Add one cup of mulling spice. Bring to boil. Strain Juice to get leftover mulling spices out. Let Chill for four to five hours or overnight. Keep a little bit of the leftover boiled mulling spice to add to drink for a little extra aesthetic or leave out completely. 2. When ready to serve, add sparkling Apple-Grape Cider. 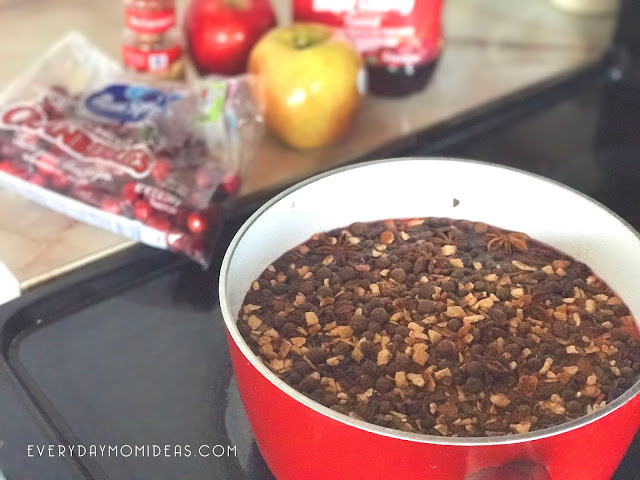 I mix 1 part mulling cranberry juice mixture to 4 parts of sparkling apple-grape cider. You can serve it up in a punch bowl or serve each drink up one at a time. 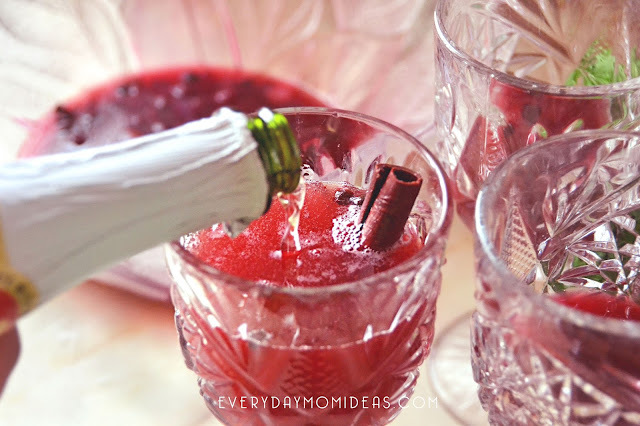 Optional: You can add fresh cranberries and pieces of chopped apples to the drinks for some extra flair. I cooked mine with cranberries and cinnamon sticks, but it is not necessary and does not make the drink taste any better. I think the drinks look better with fresh cranberries to garnish them then cooked squashed cranberries anyways. 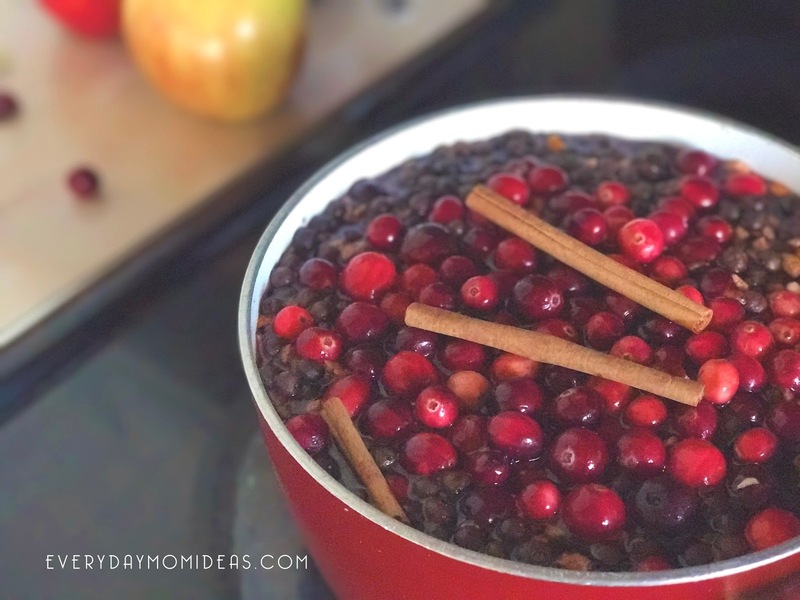 You can make your own mulling spice but it is just easier to find it at your local grocery store. Amazon sells lots of options of mulling spice here. Fill your glass up 1/4 of the way with the mulling spice juice. Then top it off the rest of the way with Apple-grape sparkling cider. Enjoy your Christmas in a cup! Remember sharing is caring! 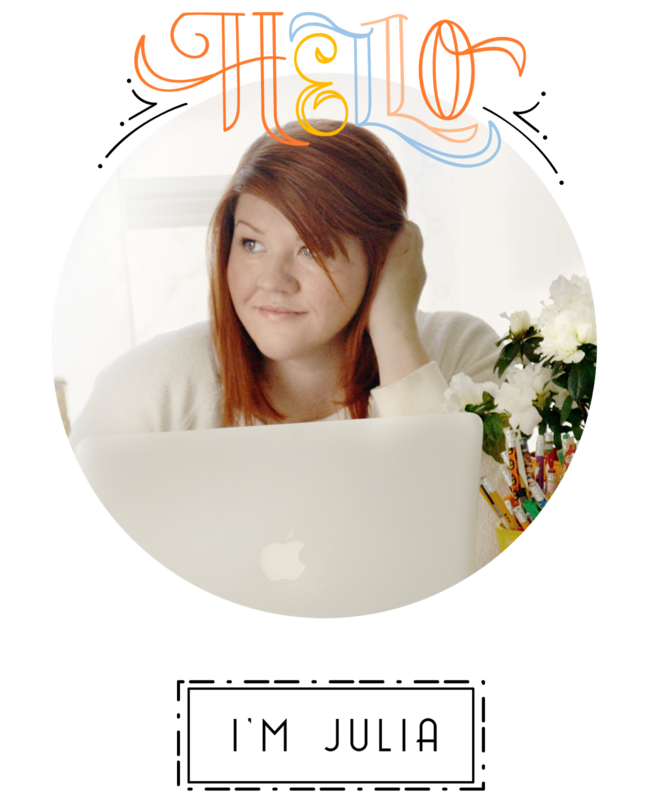 Please share this Pinterest Image below with your friends and family or save it to make later.